Ever more often, the 1990s are becoming “a new line of the ideological front,” with Russians divided on which year, 1991, 1993 or 1996, set in train the forces which have led Russia to where it is today. Most plump for the first two, but Vladimir Pastukhov argues that 1996 is the critical year. From today’s perspective, the London-based Russian analyst says, 1996, when the re-election of Boris Yeltsin was achieved by the most outrageous means, became “the time for saying goodbye to hopes the country would be able to pass through the Scylla of reaction and the Charybdis of revolution (mbk-news.appspot.com/sences/devyanostye-kak-liniya-fronta/). After that year, Pastukhov continues, “Russia was condemned to reaction,” a development that was not long and coming – and an outcome that is especially disturbing because there was an alternative, Russian liberals knew it, and yet they fatefully made the wrong choice. “Reaction is inevitable after any revolution, like a sunset after a sunrise,” and so some kind of reaction was to be expected after 1991. It was “inevitable,” the analyst says. “But the choice made by the political class in 1996 prefigured the form of this reaction,” backing a corpse and thus ensuring that it would ultimately get a new one forever. There was, of course, no possibility that Russia could in a consistent way “continue ‘liberal reforms’ in ‘a European spirit.” Russia simply wasn’t’ ready for that and very clearly, it needed a breather. 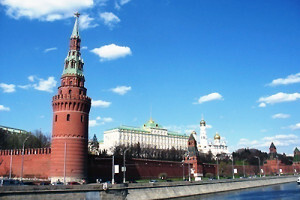 In 1996, the choice in the election was “between reaction” which Zyuganov and his nomenklatura represented and “the reaction” which Yeltsin’s family did. Had Zyuganov been allowed to win – and he almost certainly would have had the vote been free and fair rather than rigged in Yeltsin’s favor – “Russia would have acquired the experience of a democratic transfer of power via lawful elections, something which it has not yet had up to now,” Pastukhov continues. “This experience and this precedent would have allowed for the hope that Zyuganov’s pullback wouldn’t have become a chain reaction.” At the very least, it would have meant that Russia would not have continued on the course that led to the self-destructive Anschluss of Crimea in 2014. Many say that Russians have a short memory when it comes to the 1990s, Pastukhov concludes; but the problem isn’t that it is short but that it varies widely and is highly selective. The past, as Faulkner observed, isn’t over – it isn’t even the past.